Hallie Siegel does strategic communications for the technology, innovation and research sectors, with a focus on robotics. 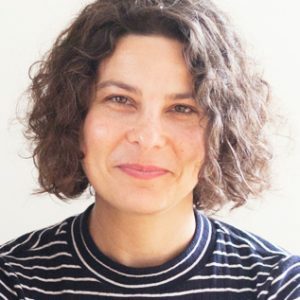 As the first Managing Editor of the international robotics news website Robohub.org, Hallie helped to build a global network of over 150 expert contributors and a readership of 75,000 unique monthly visitors. She currently works with startups, universities, and other organizations in the robotics sector to build thought leadership and plan for organizational change. AJung Moon is Co-founder and Director of the Open Roboethics Institute (ORi), an internationally renowned think tank that has been spearheading active discussions of ethical, legal, and societal issues of robotics and intelligent machines since 2012. She was a Vanier Scholar at the University of British Columbia (UBC) and a thought leader in roboethics and human-robot interaction (HRI). As a mechatronics engineer with over 8 years of research experience in robotics, robot ethics and HRI, she has been heavily involved in the shaping of global standards and policy that pertain to artificial intelligence and autonomous systems. She is an Executive Committee Member of the IEEE Global Initiative for Ethical Considerations in Artificial Intelligence and Autonomous Systems. She serves as a panelist on the International Panel on the Regulation of Autonomous Weapon Systems, and has presented at the United Nations Convention on Certain Conventional Weapons (CCW) Meeting of the States Parties on the global public sentiment on lethal autonomous weapon systems. Elizabeth A. Croft, Ph.D., P.Eng., Fellow Canadian Academy of Engineers, Fellow Engineers Canada, Fellow American Society of Mechanical Engineers, is a Professor of Mechanical Engineering and Senior Associate Dean for the Faculty of Applied Science at UBC. As Director of the Collaborative Advanced Robotics and Intelligent Systems (CARIS) Laboratory at UBC, Dr. Croft’s research investigates how robotic systems can behave, and be perceived to behave, in a safe, predictable, and helpful manner, and how people interact with and understand robotic systems. Applications of this work range from manufacturing assembly to healthcare and assistive technology. 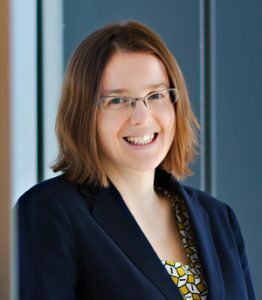 Elizabeth has received numerous awards including a Peter Wall Early Career Scholar award, Engineers Canada Award for the Support of Women in the Engineering Profession, an NSERC Accelerator award, and WXN’s top 100 most powerful women in Canada. Gregory Dudek is a Professor with the School of Computer Science, a member of the McGill Research Centre for Intelligent Machines (CIM), and an Associate member of the Dept. of Electrical Engineering at McGill University where he directs the McGill Mobile Robotics Laboratory. In 2008 he was made James McGill Chair. 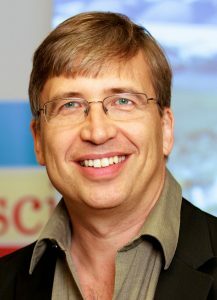 Since 2012 he has been the Scientific Director of the NSERC Canadian Field Robotics Network (NCFRN). From 2008-2016 he was the Director of the McGill School of Computer Science. He is also the former Director of McGill’s Research Center for Intelligent Machines, an inter-faculty research facility. In 2002 he was named a William Dawson Scholar. In 2010 he was awarded the Fessenden Professorship in Science Innovation. In 2010 he was also awarded the Canadian Image Processing and Pattern Recognition Award for Research Excellence and also for Service to the Research Community.He has been on the organizing and/or program committees of most major robotics, vision and AI conferences including: Robotics: Systems and Science, the IEEE International Conference on Robotics and Automation (ICRA), the IEEE/RSJ International Conference on Intelligent Robotics and Systems (IROS), the International Joint Conference on Artificial Intelligence (IJCAI), Computer and Robot Vision, IEEE International Conference on Mechatronics and International Conference on Hands-on Intelligent Mechatronics and Automation among other bodies. 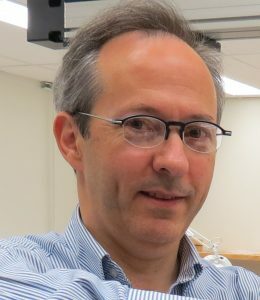 Clément Gosselin is a Professor in the Department of Mechanical Engineering at Université Laval Québec and Canada Research Chair in Robotics and Mechatronics. His research interests are kinematics, dynamics and control of robotic mechanical systems with a particular emphasis on the mechanics of grasping, the kinematics and dynamics of parallel manipulators and the development of human-friendly robots, and his work has been the subject of numerous publications in international journals and conferences as well as of several patents and two books. He is an Associate Editor of the IEEE Robotics and Automation Letters and of the ASME Journal of Mechanisms and Robotics. Dr. Gosselin has received several awards including the ASME DED Mechanisms and Robotics Committee Award in 2008 and the ASME Machine Design Award in 2013. 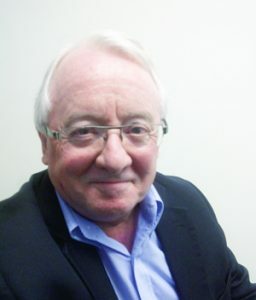 He was appointed Officer of the Order of Canada in 2010 for contributions to research in parallel mechanisms and under-actuated systems, and is a fellow of the ASME, of the IEEE, and of the Royal Society of Canada. Paul Johnston is an independent consultant specializing in scientific research and technological development, from policy and program development to evaluation. From 2008 through 2015, he was also Senior Associate with HAL. Prior to joining HAL, Paul was President of Precarn Incorporated, an organization that funded and promoted collaborative research and development in the field of robotics and intelligent systems. Previously, Mr. Johnston held the position of Vice President, Operations from 2000 and before that he was the founding Network Manager for the Institute for Robotics and Intelligent Systems, a university-based research network working in the same fields. Prior to joining Precarn in 1990, Mr. Johnston was the Director of Planning and Coordination with the Canadian Space Agency and with the Space Policy Sector of the Department of Industry, Science and Technology, where his responsibilities included policy and drafting advice respecting the legislation creating the Space Agency, negotiations for the Space Station agreements and the RADARSAT Program, and long-term space program planning. Mr. Johnston was trained as a lawyer (Called to the Bar in Ontario in 1985) and as an engineer (BASc, 1971, University of Toronto), with a specialty in Aerospace Engineering. 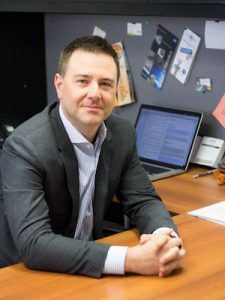 Jonathan Kelly is an Assistant Professor at the University of Toronto Institute for Aerospace Studies (UTIAS) and the Director of the Space & Terrestrial Autonomous Robotic Systems (STARS) Laboratory. Before joining the University of Toronto, he was a Postdoctoral Associate in the Robust Robotics Group at the Massachusetts Institute of Technology, working with Prof. Nick Roy. He completed his Ph.D. in the Robotic Embedded Systems Laboratory at the University of Southern California, under the supervision of Prof. Gaurav Sukhatme. His research interests include 3D computer vision, probabilistic modelling, estimation theory, and machine learning. 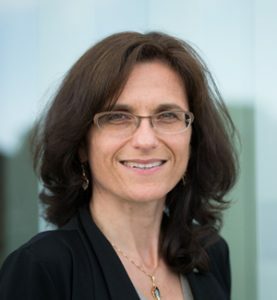 Dana Kulić is an Associate Professor at the Electrical and Computer Engineering Department at the University of Waterloo, Canada, where she directs the Adaptive Systems Laboratory. She is a founding co-chair of the IEEE RAS Technical Committee on Human Movement Understanding and an Associate Editor with the IEEE Transactions on Robotics. In 2014, she was awarded Ontario’s Early Researcher award for her work on rehabilitation and human-robot interaction. Her research interests include human motion analysis, robot learning, humanoid robots, and human-machine interaction. Angela Schoellig is an Assistant Professor at the University of Toronto Institute for Aerospace Studies (UTIAS) and heads the Dynamic Systems Lab. 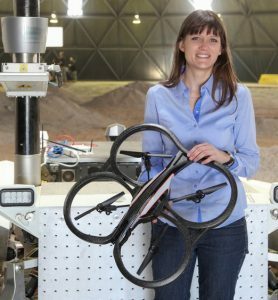 She is also an Associate Director of the Center for Aerial Robotics Research and Education (CARRE) at the University of Toronto. 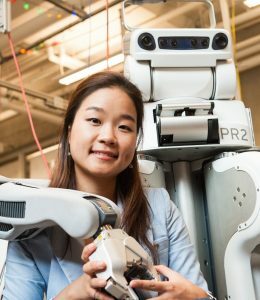 With her team, she conducts research at the interface of robotics, controls and machine learning. Her goal is to enhance the performance, safety and autonomy of robots by enabling them to learn from past experiments and from each other. Angela has been working with aerial vehicles for the past nine years and, more recently, has applied her motion planning, control and learning algorithms to self-driving vehicles. You can watch her robots perform slalom races and flight dances at www.youtube.com/user/angelaschoe.